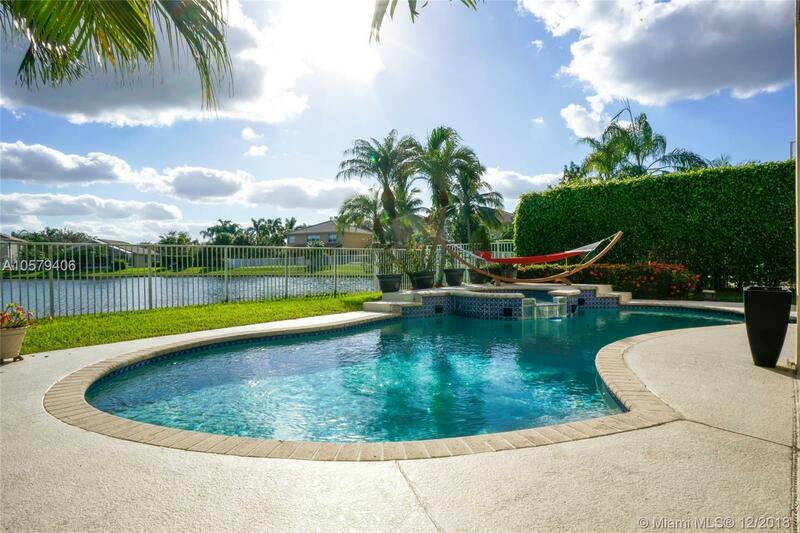 16544 Turquoise Trl, Weston, FL.| MLS# A10579406 | Susan J Penn l Best Agent l Buy & Sell South Florida Homes! Welcome home to this beautiful 4 bed, 2.5 bath home in Emerald Estates, featuring free form pool & spa and gorgeous wide lake views. Marble floors in social areas, wood floors on stairs and in bedrooms. New wood staircase railings. All bedrooms upstairs. Second bathroom beautifully upgraded. Huge master suite with sitting room/study/office and huge walk-in closet. Upgraded LED lighting with additional high hats throughout. Updated kitchen with s/s appliances, granite countertops, wood cabinets and center island w/ wine fridge. Tankless water heater, accordion shutters on all windows.Tons of storage in garage with overhead storage system. All A-rated Weston schools. Close to shopping, highways. HOA fee covers lawn maintenance, cable TV, alarm monitoring and more. See attachments. Directions: From I=75, Get Off At Griffin Rd West And Go To Weston Rd. Make Right Onto Weston Rd And Turn Left At 1st Light Onto Emerald Estates Rd. Go Straight And Show Drivers License And Business Card At Guard Gate.